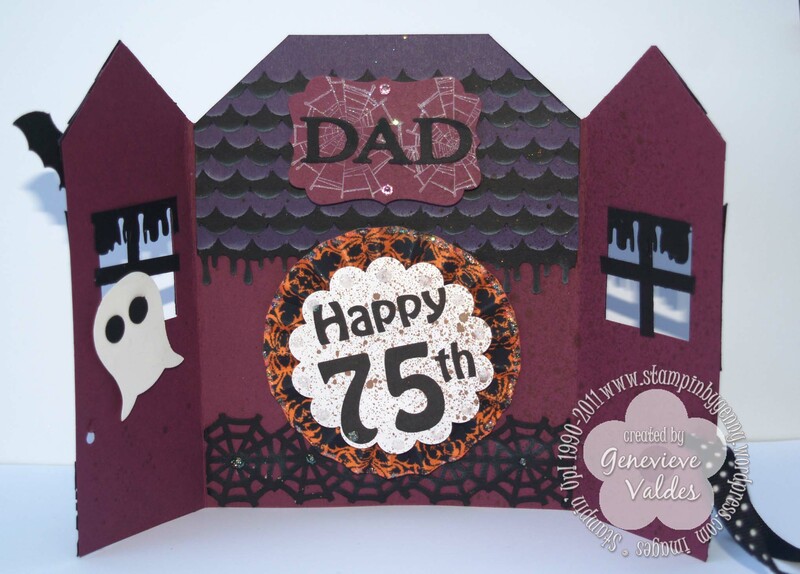 A Happy Birthday Haunted House! How time flies! My dad is celebrating his 75th birthday today, October 31st. 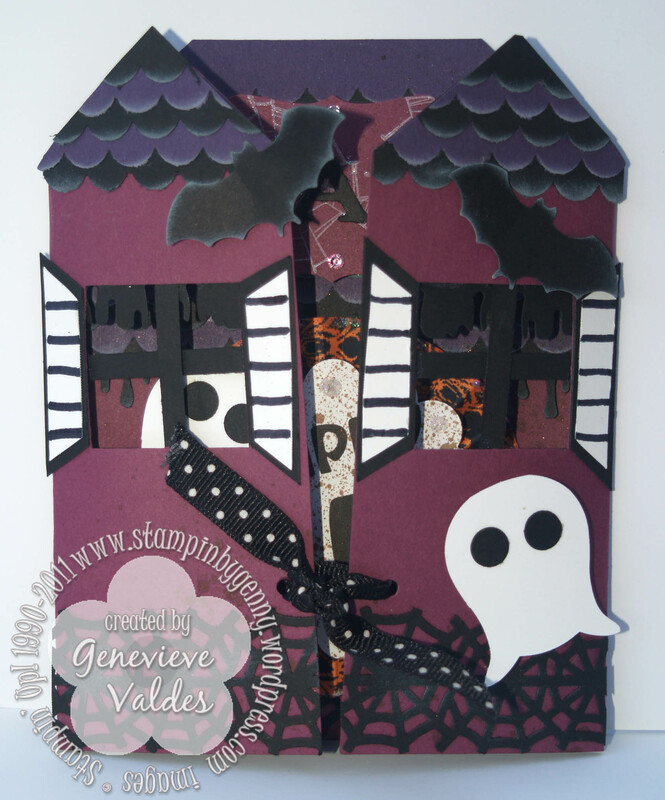 I created this haunted house birthday card complete with ghosts and bats. The card is based on the gate fold card. 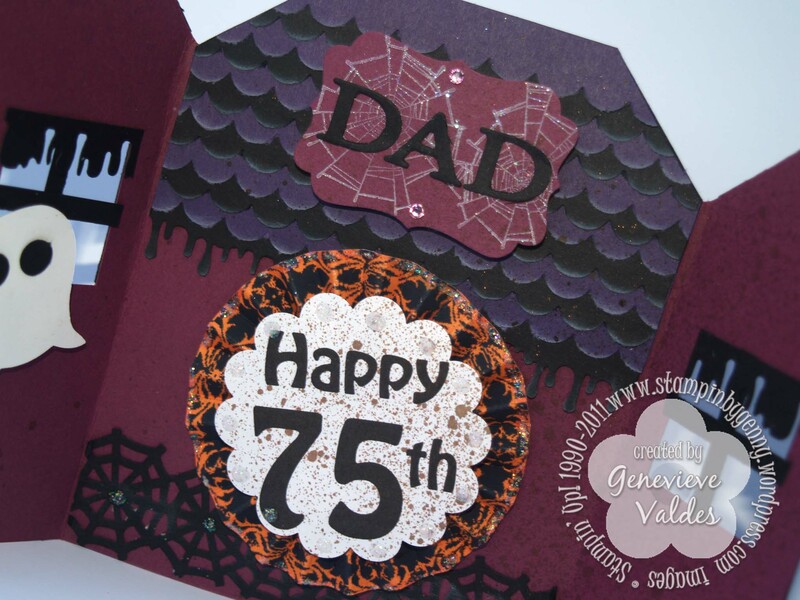 I cut the top of the card to look like roofs and shingled them using my Scallop border punch. I used the 1-1/4 inch Square Punch for the window and added the strips for window panes. The shingles I created with Basic Black and layered with a smaller piece of Whisper White and drew the shutters with a black marker. It was a lot of fun creating this card. For the inside of the card I decorated it with a ghost, spider webs and a lollie. 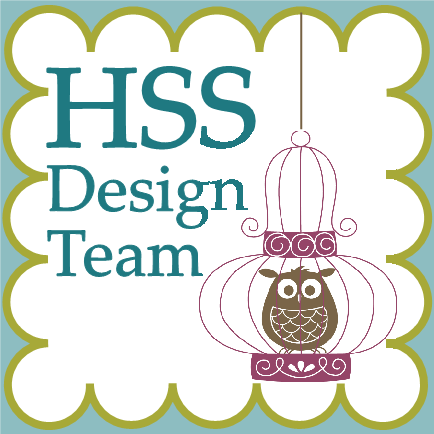 I used My Digital Studio to create the sentiment then punched it out with the 2-3/8″ Scallop Circle Punch.